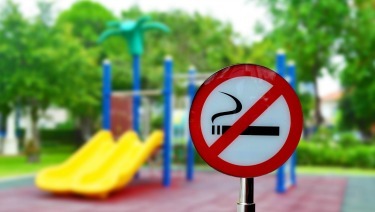 Nearly 40% of the pediatric population is exposed to secondhand smoke (SHS). In addition, an estimated 80-90% of adult smokers began smoking during adolescence. Parents play a very important role in protecting their children from smoke exposure and preventing tobacco use. ​Many towns, states, casinos, medical centers, campuses, and residential buildings are moving towards keeping all of their structures smoke free, in an effort to reduce the amount of people exposed to tobacco smoke. This is especially helpful for children, who have still-developing lungs and are easily harmed by smoke exposure.